Flowy Dresses (like this one-- Embroidered Sleeveless Dress): putting a belt with it, above the bump, makes me feel a little less like I'm wearing a tent. And the comfort factor of a dress is great... nice and breezy. Belly Band: Okay, so this one is technically a maternity item... but it earns special mention here because it's been so vital for helping me stretch (no pun intended) my regular wardrobe through the second trimester. I was so sad when I realized my favorite jean capris no longer buttoned (especially because they'd buttoned just fine two weeks before!) Enter belly band. Long enough to cover the fact that the capris aren't buttoned (at all), and tight enough to keep the pants from falling down. Admittedly, it's not terribly comfortable on hot days, but it's totally worth it. That's what I've come up with so far! 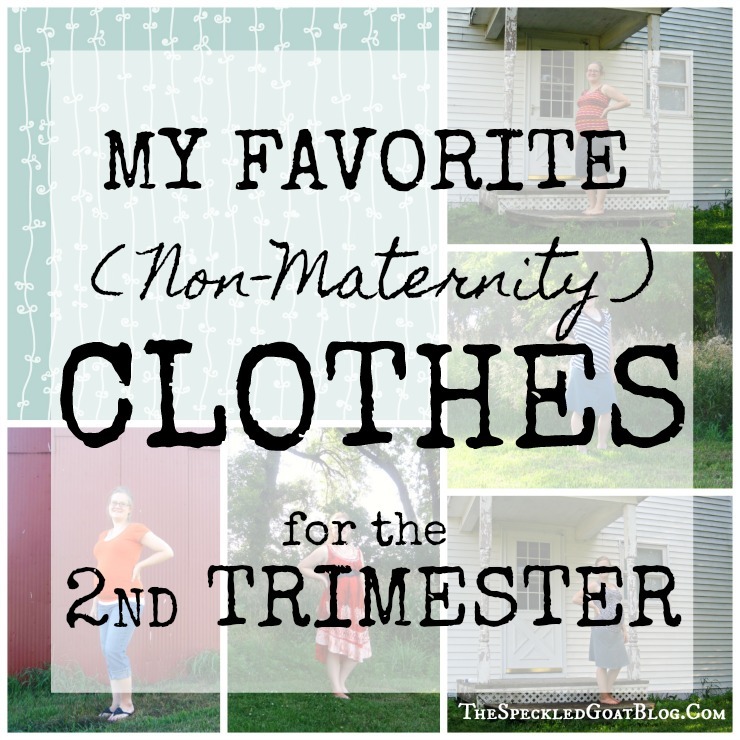 Do you have a staple in your wardrobe for when you're pregnant?